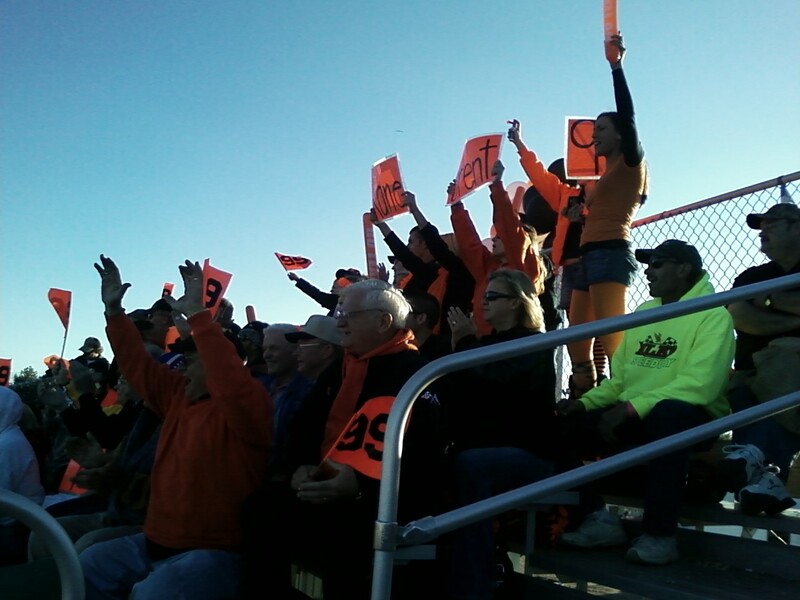 The ASA Midwest Sportsman series will crown their inagural champion on Saturday night (Oct 2) at Elko Speedway. Two drivers will battle for the top spot. Chris "cruiser" Marek comes into the race with four wins under his belt and a 26pt lead. 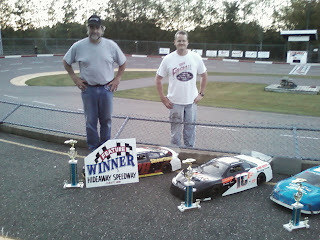 Marek also won the first ASA Midwest Sportsman race at Elko on Aug 28th. This was an amazing race that saw four cars crossing the stripe at the same time on the last lap, Marek's margin for victory was .041 seconds. 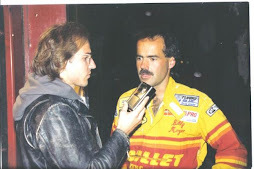 Jay Kalbus finished 13th during that first Elko race, he was right in the middle of all the action on that fatefull last lap where Brent Kane was denied a win after leading most of the race. Kalbus is second in ASA Midwest Sportsman tour point standings, he has two wins this season, including a big victory at "the Dells" on Sep 11th. 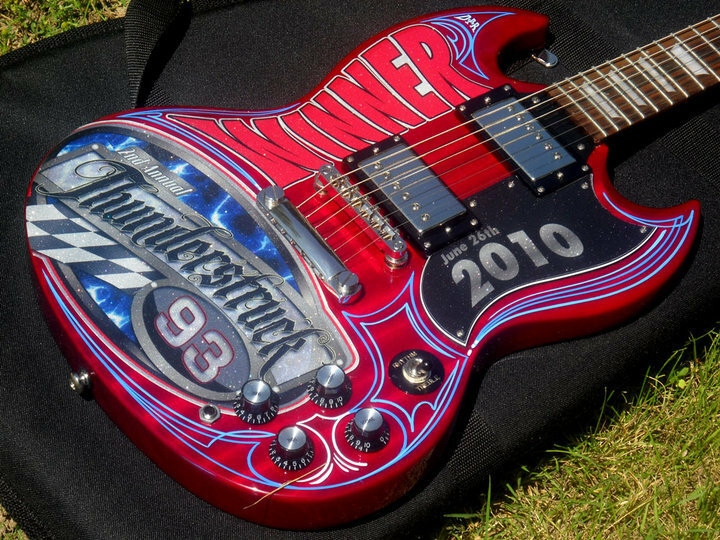 The race on Saturday night also includes an awesome Super Late Model event, the Thunderstruck 93 race (guitar trophy pictured above), this is a make up event for a rained out memorial to Dan Ryan earlier this summer. The festivities begins at 6pm Saturday night at Elko Speedway in Elko MN. 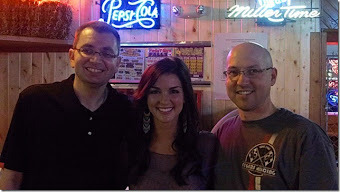 The 2010 "Speedtalk on 1360" radio season was awesome! 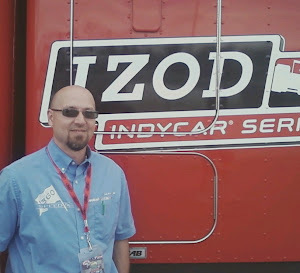 We had the opportunity to interview 41 different drivers & motorsports media. ASA Midwest tour drivers: Nick Murgic, Dan Fredrickson, Ross Kenseth, Nathan Haseleu, Thor Anderson, Chris Wimmer, Jacob Goede, Josh Vadnais & Donny Reuvers. 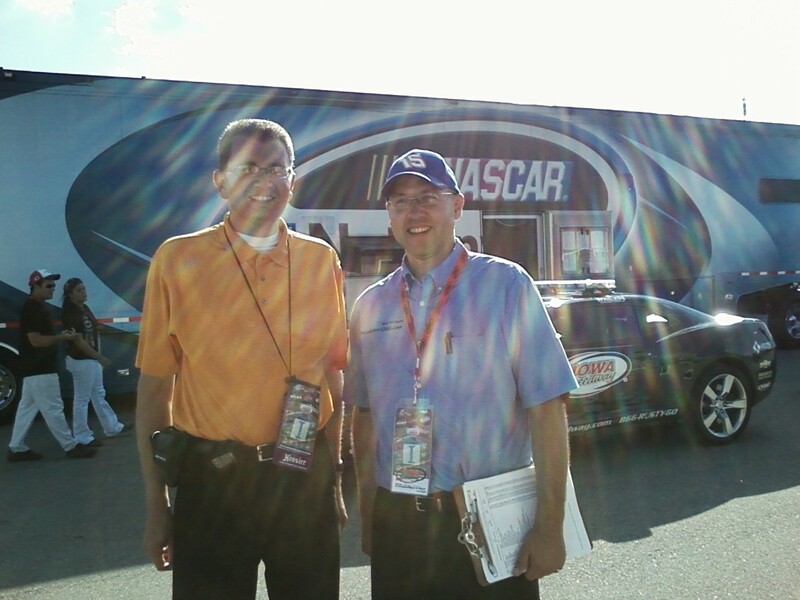 Plus president Tim Olson and announcer Matt Panure. 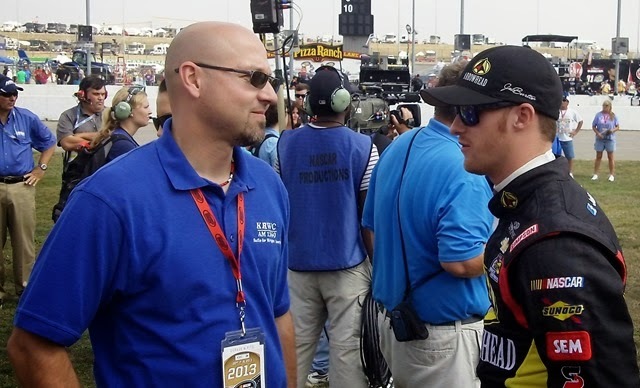 We talked to many local drivers: Chris Marek, Brent Kane, Jeremy Wolff, Ryan Johnson, Molly Rhoads, Chad Walen, Pat Zandstra, Mark Bronstad, Jake Varnum, Travis Shulte, Jesse Andreoff, Tim Brockhouse & Eric Cleasby. Road racers: Tony Ave, Jim Derhaag, Michael Wray and BIR performance driving school director Gary Curtis. 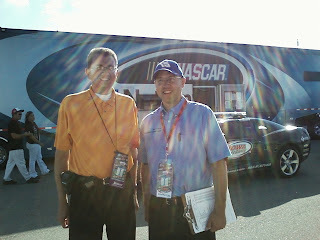 RC racers: Roger Newell and Hideaway Speedway promotor Darin Nelson. Motorsports media: Tim Sebo, Dan Plan, Jordan Bianchi, Mike Dimmick and Ron Krog. 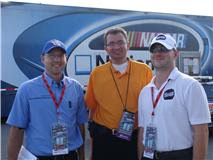 Nationwide drivers: Kyle Busch, Reed Sorenson and Trevor Bayne. Reality TV star: Jonathan "jon boy" Brown from Madhouse. 41 different people interviewed in 2010, thanks to everyone for their support this year. Remember we will continue our MN MOTORSPORTS Coverage right here, all winter on http://www.speedtalkon1360.com/ Keep checking back! NASCAR picks from the "Monster Mile" at Dover. Dean and Jordan will go with Kyle Busch who won at Dover in the spring and has one of the fastest average speeds in practice #1. Jason will go with Jimmie Johnson who swept both Dover races in 2009, won the pole position and has 5 wins at Dover. 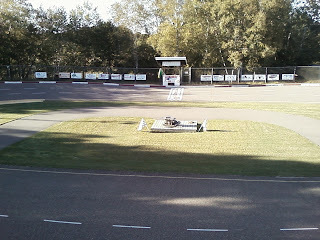 Thanks to Hideaway Speedway RC track in Isanti MN for sponsoring this competition. 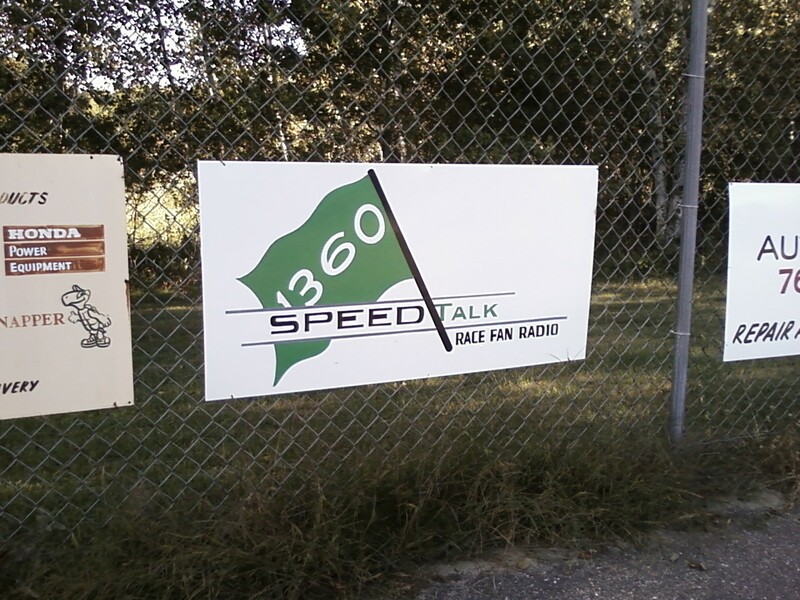 "Speedtalk on 1360" covered the 2010 season championship night at Raceway Park in Shakopee (MN) on Sunday September 19th. Jason interviewed the Hobby Stock champion Brent Kane (his fans pictured above). Kane won 9 features at Raceway Park in 2010. We also talked to Hobby Stock winner Jeremy Wolff. 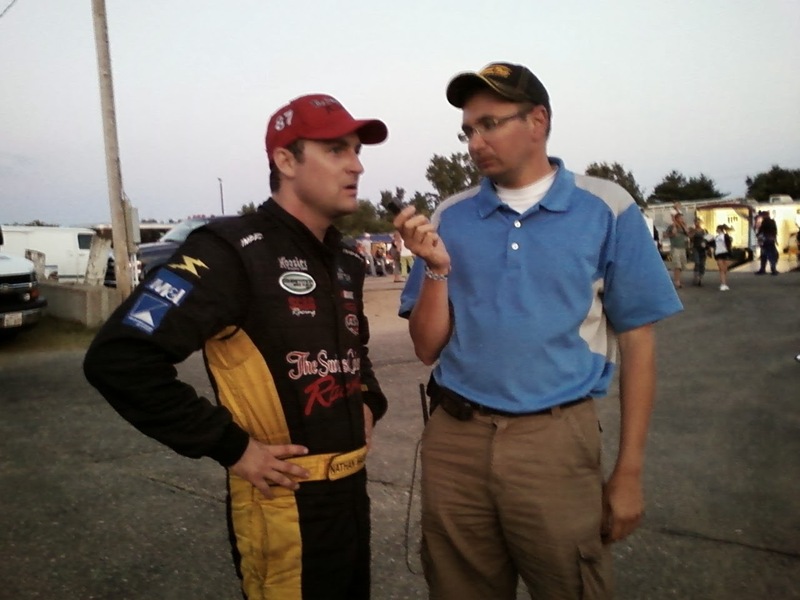 Dean caught up with Chad Walen who the final feature event of 2010 in the Super Late Model division on Sunday night, he finished second in the standings behind point champ Adam Royle. 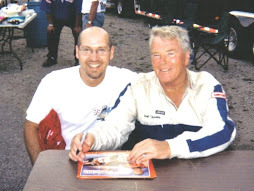 Rockford (MN) driver Mark Bronstad loaned his car to Ricky Martin so he could continue his chase for a National point championship, unfortunately he got caught up in an accident in "the x" and the car was totalled. 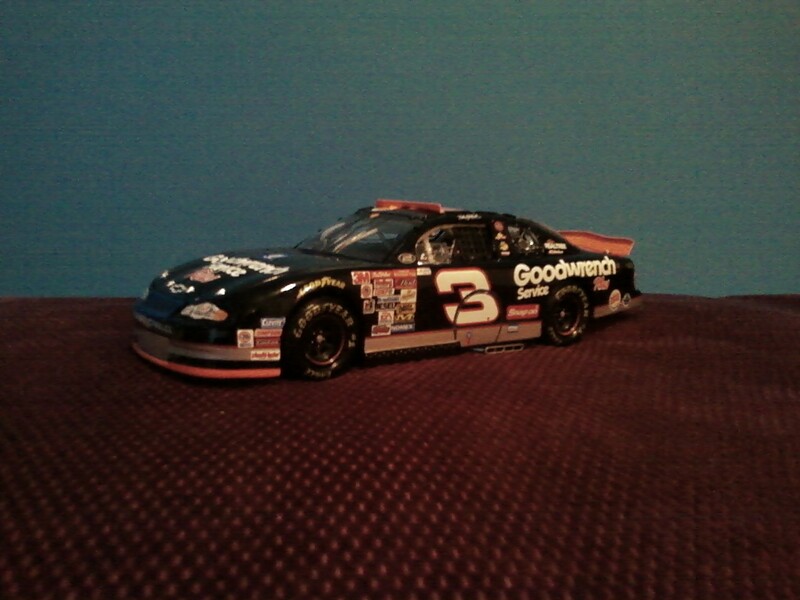 With a donation from Darin Nelson at Hideaway Speedway, we are giving away an awesome #3 Earnhardt die-cast to who can PICK THE PODIUM for the NASCAR chase. Who will win the NASCAR chase? 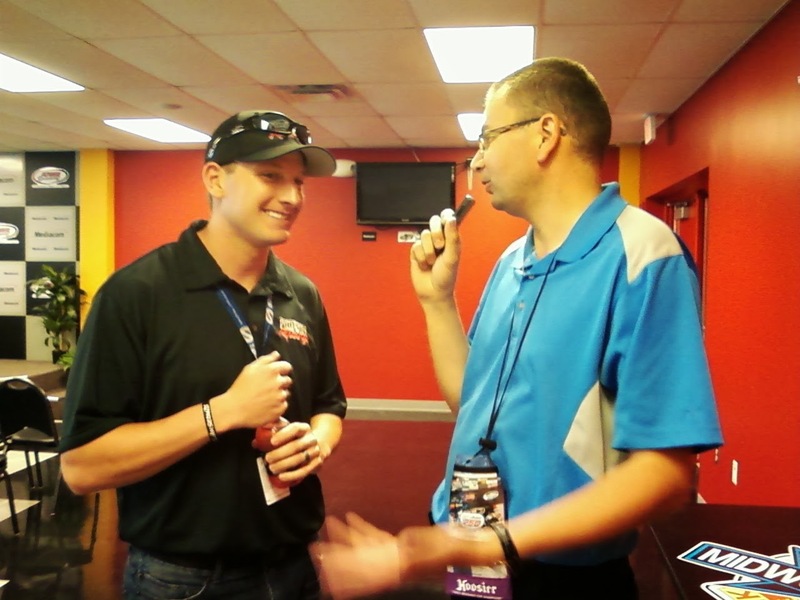 "Speedtalk on 1360" personalities predict who will finish at the top of the heap after the 10 race NASCAR chase format. Jason: 1st Denny Hamlin, 2nd Jimmie Johnson, 3rd Kurt Busch. Dean: 1st Jimmie Johnson, 2nd Denny Hamlin, 3rd Kevin Harvick. Jordan: 1st Jimmie Johnson, 2nd Kyle Busch, 3rd Denny Hamlin. 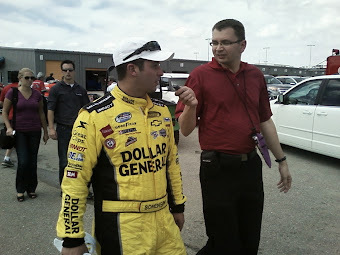 Dan: 1st Kyle Busch, 2nd Denny Hamlin, 3rd Jimmie Johnson. 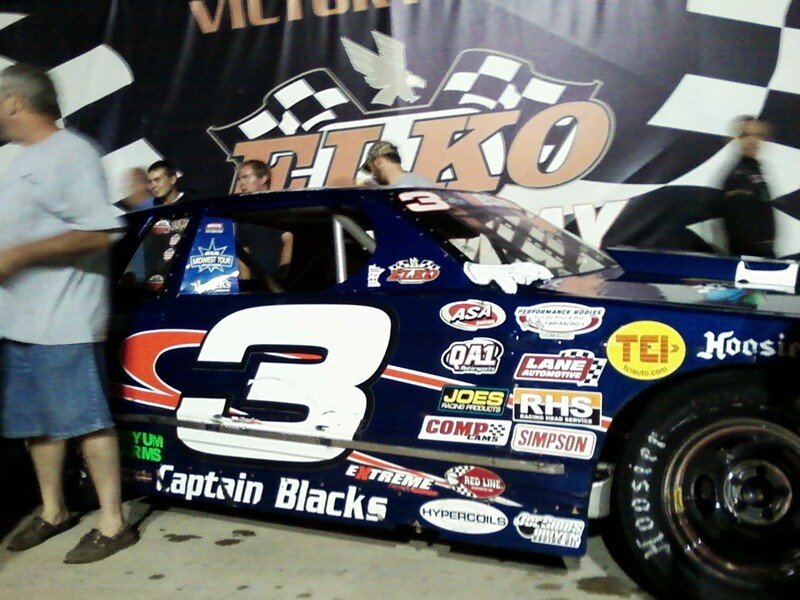 Here is a video of the Hideaway Speedway winner of the "Speedtalk 150" on Sep 11th. 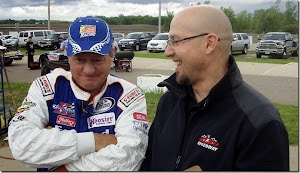 Jason Searcy interviews Roger Newell with lots of video highlights at Hideaway Speedway in Isanti MN. 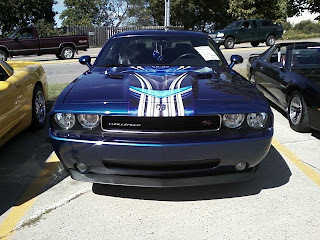 Win this die-cast car.. pick the top three chase finishers. 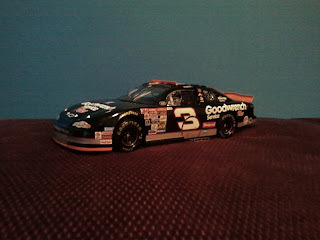 Darin Nelson from Hideaway Speedway has donated an awesome #3 Dale Earnhardt 1/24th die-cast car. 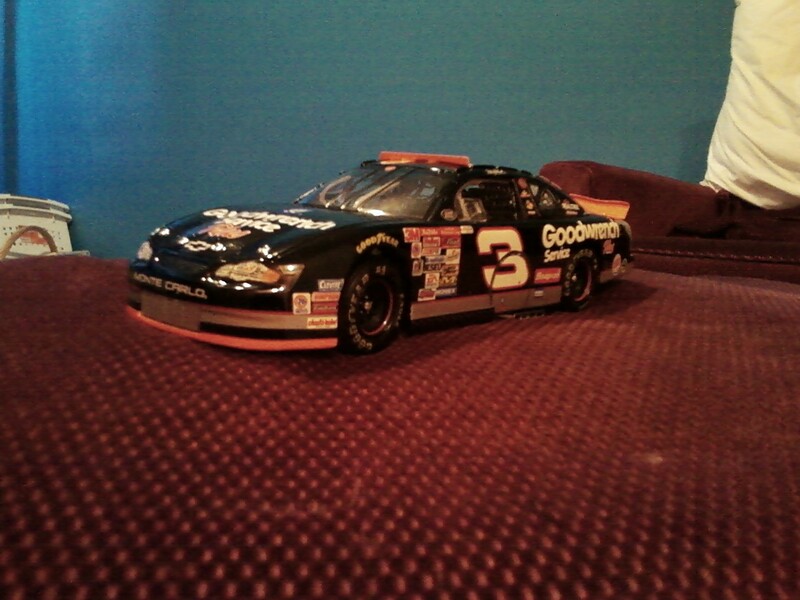 Its a 2001 collectable of Dale's 76th and final victory (worth $75). 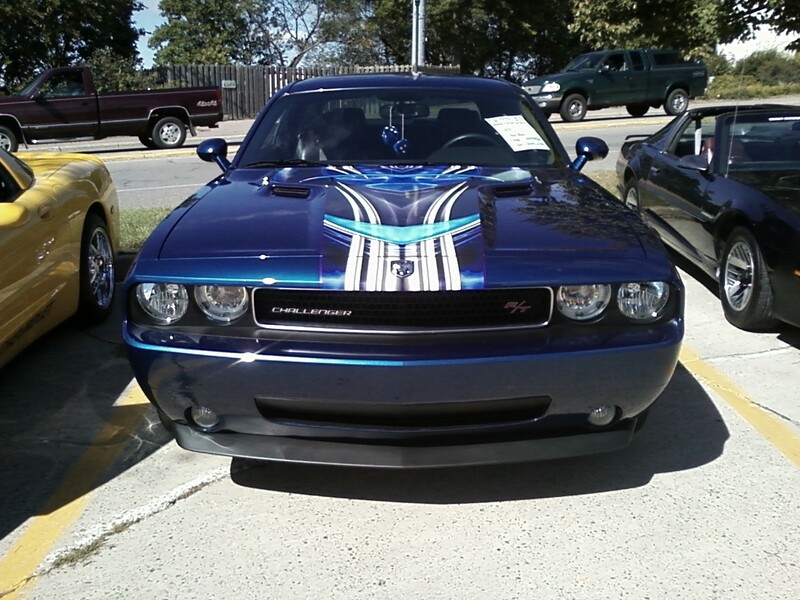 For your chance to win, just e-mail me WHO you think will finish first, second and third in the NASCAR Chase CHAMPIONSHIP. If you are correct, you win! *if more than one person is right, we will do a random drawing. Here are the 12 drivers in the chase: Greg Biffle, Matt Kenseth, Kyle Busch, Jeff Gordon, Denny Hamlin, Jimmie Johnson, Carl Edwards, Tony Stewart, Clint Bowyer, Kevin Harvick, Jeff Burton, Kurt Busch. 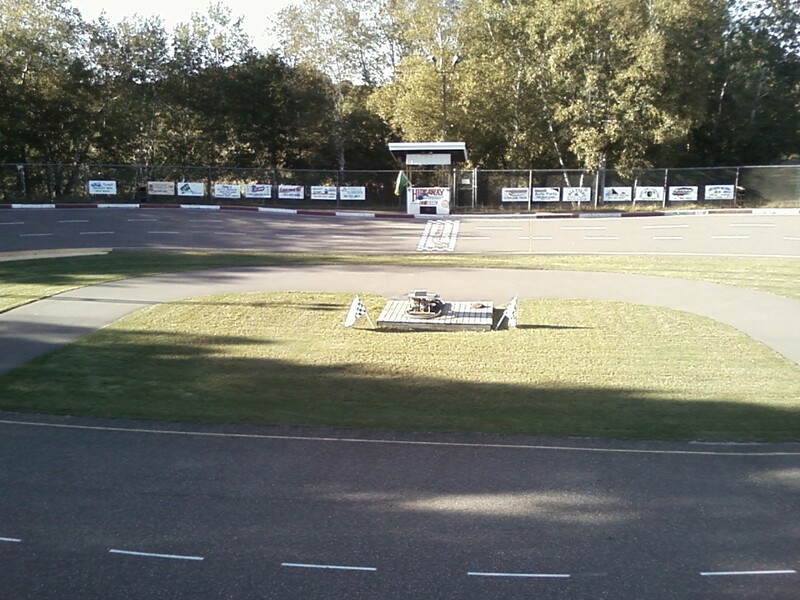 Anyone can play, just send me your e-mail BEFORE the New Hampshire race begins at noon on Sunday. #28 Roger Newell wins the "Speedtalk 150" at Hideaway Speedway in Isanti (MN). Newell held off a late race surge from #18 Scott Shramski. Shramski was the fast qualifier and winner of heat race number one. He lead some laps early in the 150 lap main event but then lost two laps to the leader because of a spin during a fuel stop on pit lane. 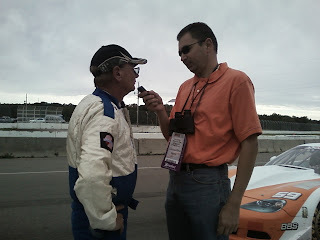 Shramski made up both those laps on the track but came up just short as veteran driver Roger Newell held on for the win. 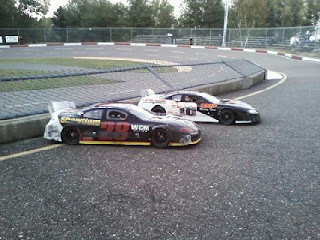 Hideaway Speedway is the home of an awesome 1/4 scale race car museum and NASCAR die-cast collectables store. 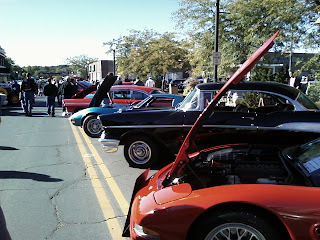 The 3rd annual "Classics by the lake" car show in downtown Buffalo (MN) on Saturday (Sep 11) was another big success. Beautiful weather and over 600 classic cars were on display with thousands of spectators turning out to enjoy the day. 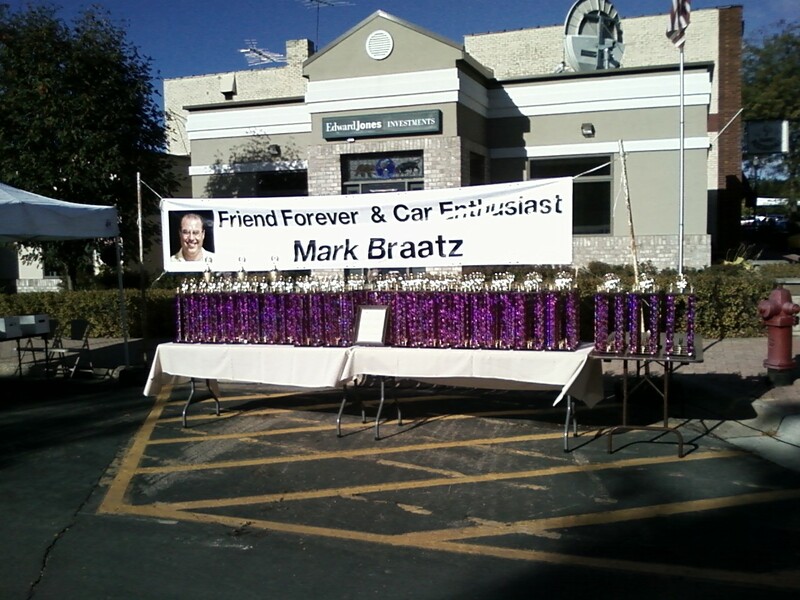 75 trophies and awards were given out as special recognition was given to and original organizer of the event Mark Braatz who died in a car accident earlier in 2010. 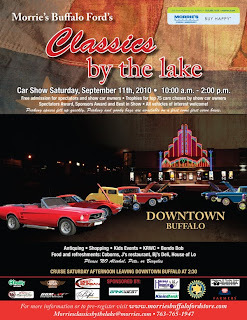 Join "Speedtalk on 1360" for our LIVE Broadcast at the "Classics by the lake" car show in downtown Buffalo (MN) from 10-11am on Saturday (Sep 11th). 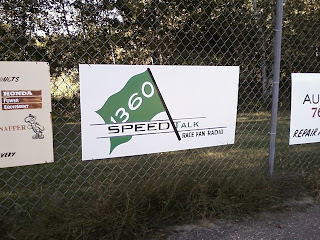 Come and join us for "Speedtalk on 1360" night at Hideaway Speedway in Isanti MN on Saturday night (Sep 11th). FREE Admission for all fans! 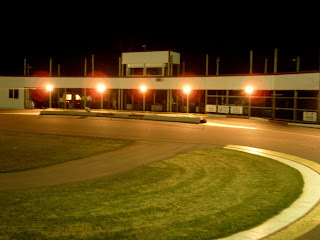 Jason and Dean will be there to watch the exciting RC car racing on this awesome 1/10th mile high banked asphalt oval. We will interview the winner and broadcast it on next Saturday's radio show. 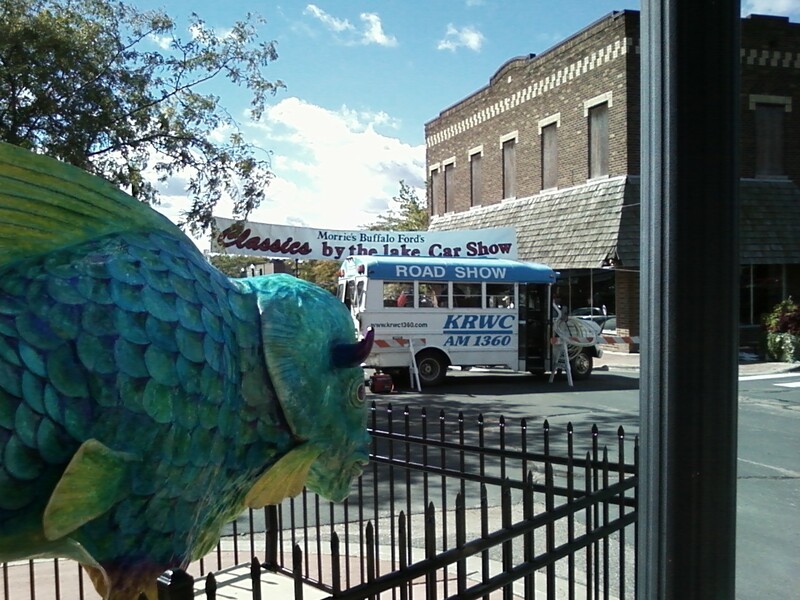 The racing begins at 6pm, plus it's Darin Nelson's Birthday celebration, so come on out and join in the fun! 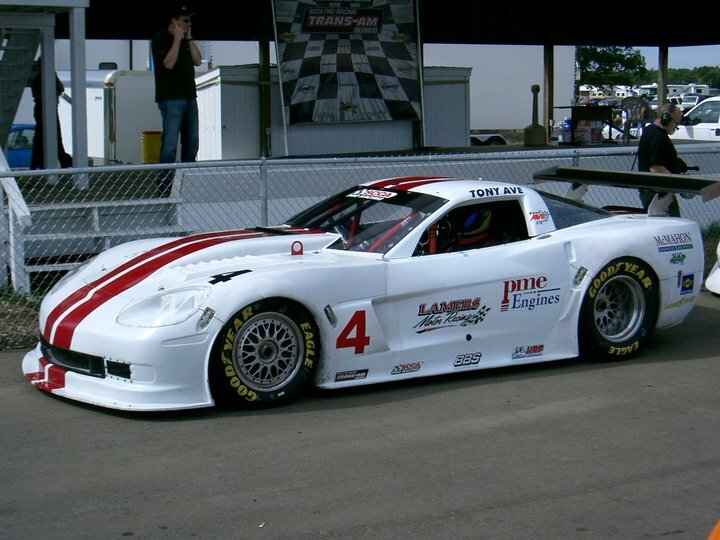 Minnesota native Tony Ave dominated the SCCA Trans-Am series race at Brainerd International Raceway on Sunday (Sep 5), its the first time this series has raced at BIR since 1989. Tony was born in Duluth MN, was raised in Wisconsin and now lives in North Carolina. 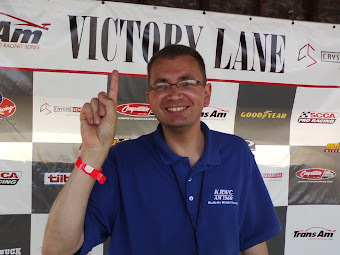 Tony Ave lead flag to flag and won by an astonishing 65 seconds with and average speed of 95.39 mph on the 2.5 mile 13 turn road course at BIR, its his fifth win of the season. 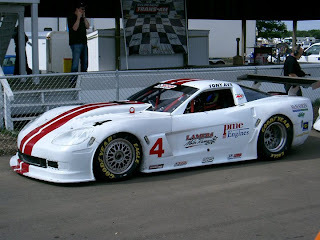 Tony Ave was impressed with the race course, he said "I can just about make it through turn one with the throttle wide open, in these cars its pretty thrilling around there we hit about 180mph. I also really like the little kink before the start-finish line" said Ave.
Second place finisher Tomy Drissi is surely an entertainer, he was laughing and joking with the fans during the driver autograph session and seemed to appreciate the support of the local Jaguar fans. 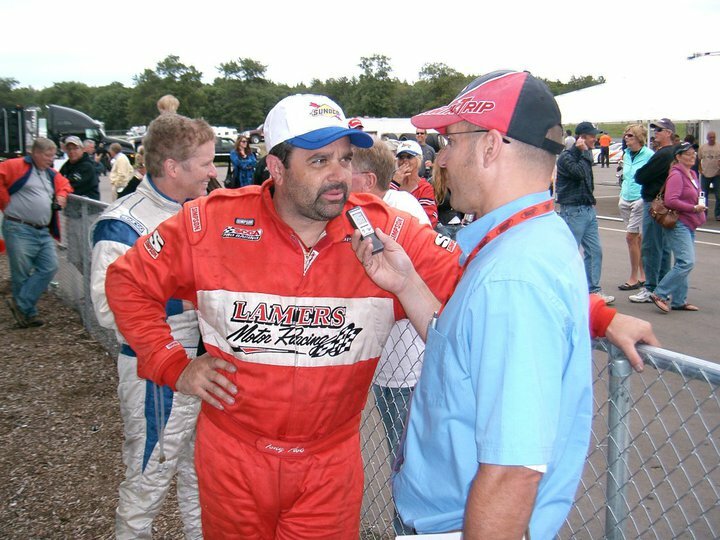 Shakopee MN driver Jim Derhaag finished fifth in his 151st and final start in the SCCA Trans-Am series, he is retiring after a long and storied career racing both on ovals and road racing.